At Hardwood Floors Fort Worth, we respect the investment our floors represent. 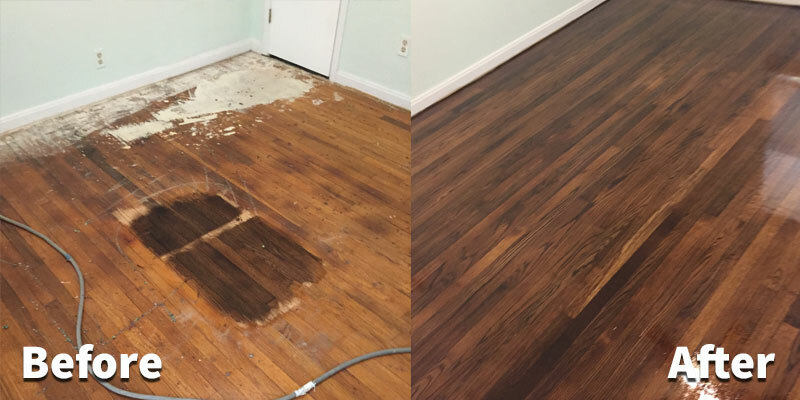 Refinishing a hardwood floor can really bring it back to life and make a room look completely different. Although your floors will look amazing once completed, refinishing is not a quick task for an everyday handyman! In order to get the results you want, you really need to right tools for the job. That is where Hardwood Floors Fort Worth can help. 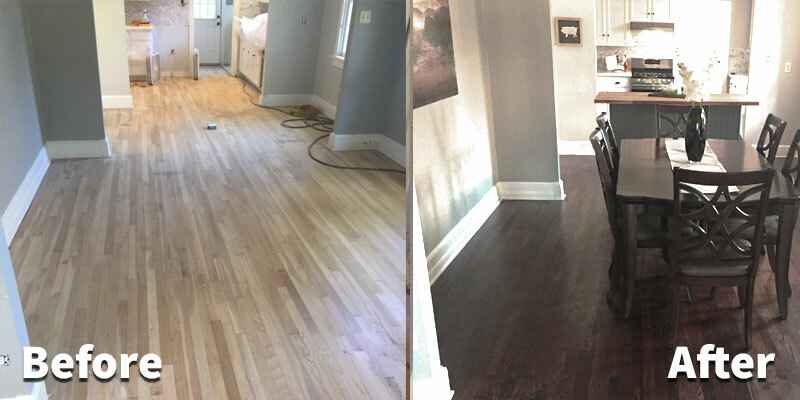 Over the years, we have mastered the art of refinishing hardwood floors and invested in the latest equipment to get the job done correctly. 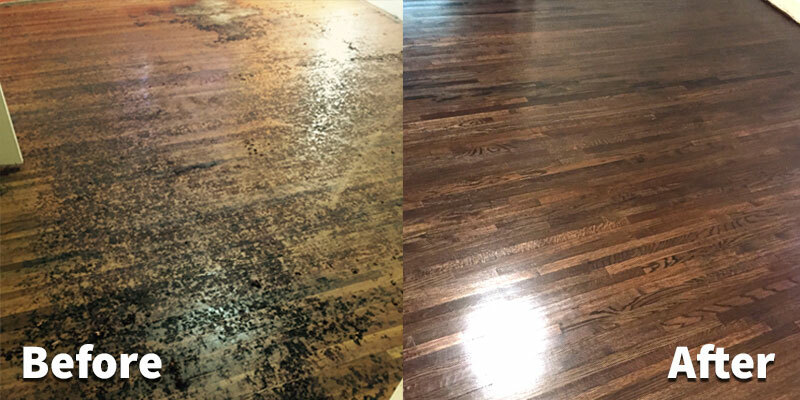 Bring your floors back to life by letting our team of professionals refinish your hardwood floors. Contact us today to get a free estimate! Our Customer Care professionals stand ready to help you maintain your floors so their natural beauty is preserved for their full life. We believe your floors will increase the value, health and well-being of your home or office. Follow these tips for best results. 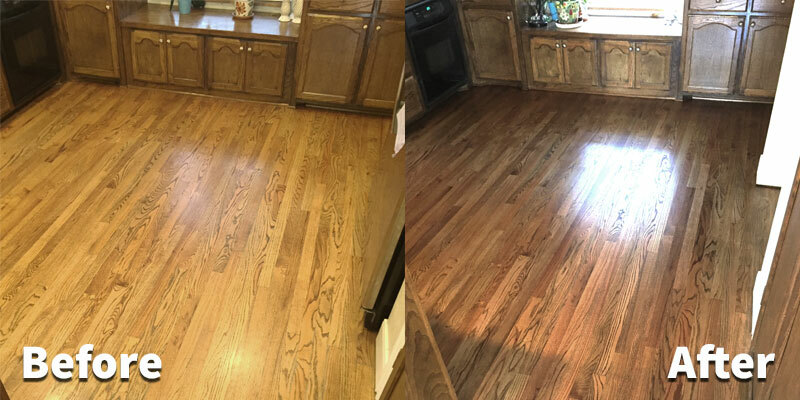 If you have not followed the latest trends in hardwood floor refinishing, you may not be aware that dust is not the problem it used to be. That’s right, our wood flooring clients will breathe and sleep a little easier knowing that our technology is working on their behalf. When refinishing hardwood flooring, dustless sanding is the only way to go. Dust is removed to the outdoors without compromising the air quality in your home or office. Honestly, this is the way all hardwood floors should be refinished. Contact our office to discuss the dustless sanding process and technology and to receive a free, non-binding estimate. A periodic refinishing will ensure the continuity of your custom hardwood floors. 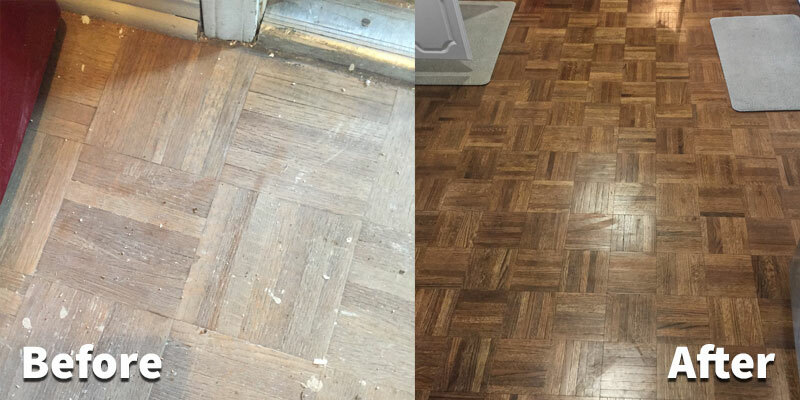 As we have noted, hardwood floors can survive 100 years or more. 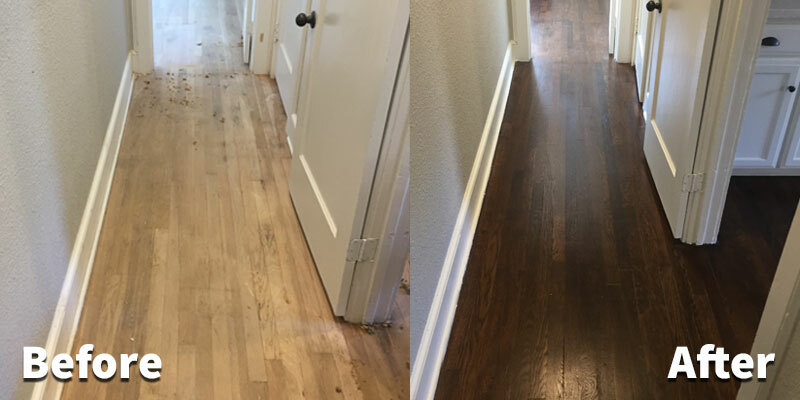 Proper cleaning will help preserve the floors and a periodic refinishing will bring hardwood flooring back to life anytime they appear tired. Move furniture off hardwood floor to be refinished – By moving all furniture from the floor before the refinishing commences, you will save money and time. It’s best to move items to an accessible area from where the pieces can be moved back without a hassle. Move activities outside the home – Our hardwood floors refinishing estimators can tell you how long the project will take. During that time frame, it’s a good idea to minimize traffic and activities in the home or office. Remove needed items – If there are clothing or files or any other necessary items in the room or rooms where the refinishing will occur, let’s move them out before our wood floor refinishing technicians begin. Most refinishing projects can be completed in 24 hours. Wandering pets – Our dustless refinishing process protects pets. But, if your pet is a wanderer and might compromise the workmanship, it may make more sense to crate or board them until the job is completed. Regular cleaning – Dust or vacuum your hardwood floors on a regular basis. This will help prevent any dust particles from accumulating. Tend to Spills Immediately – Spills happen but what can’t happen is an untreated spill. The quicker the spill is cleaned, the less likely it is to cause staining. Entry Mats and Rugs – The properly placed mat or throw rug can relieve pressure from your hardwood floor investment. 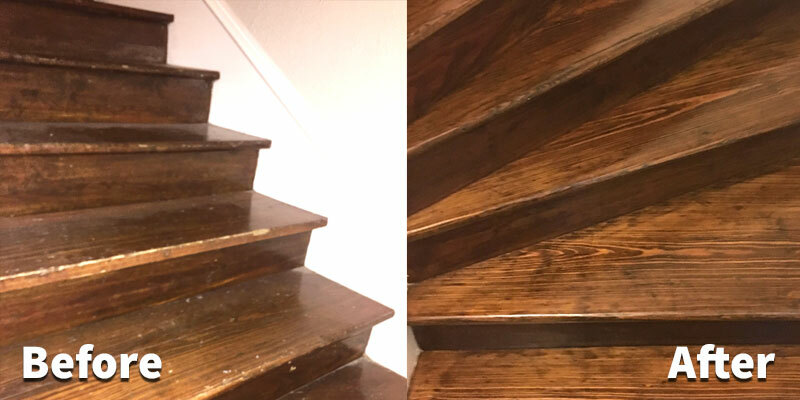 Treat your hardwood like you want it to last 100 years and it will! Prevent Furniture Scraping – On occasion, you may rearrange your furniture. When you do, be sure to lift, not drag the furniture. Read our FAQs for more answers to your hardwood floor questions. Or, better yet, contact our hardwood floor Home Care Department for advice. View more pictures of our recent jobs on our blog.